Heat oven to 400°F. Spray 15x10x1-inch pan with Crisco® Original No-Stick Cooking Spray. 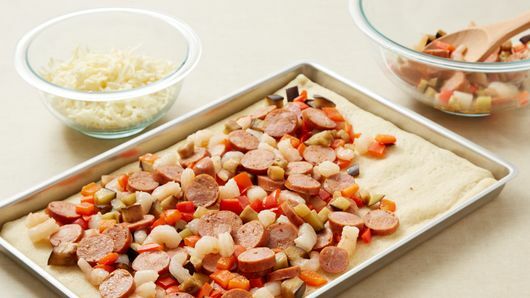 Unroll dough in pan. Starting at center, press out dough to edges of pan. Bake 6 minutes. In 12-inch skillet, heat oil over medium-high heat. 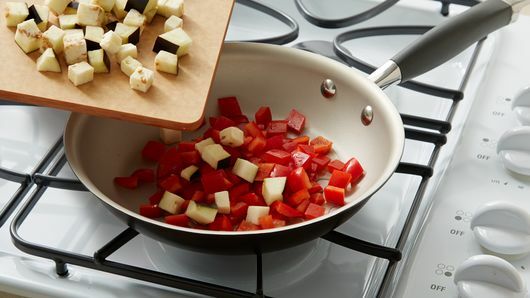 Add eggplant and bell pepper; cook 4 to 5 minutes, stirring occasionally, until tender. Drain, if necessary. Return to skillet. Add sausage and shrimp; cook 2 to 3 minutes or until heated. 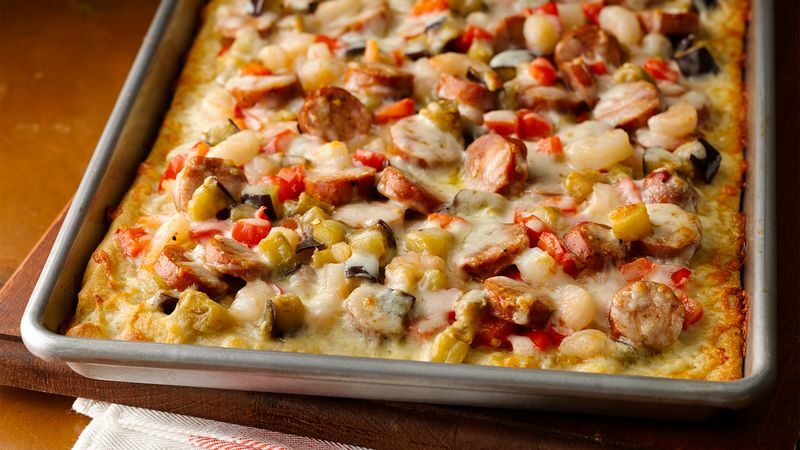 Top partially baked crust with sausage mixture; sprinkle with cheese. Bake 7 to 18 minutes or until crust is golden brown and cheese is melted.